¶ Avant-garde jazz trumpeter Nils Petter Molvær was born on the small Norwegian island of Sula in 1960, and though he learned a lot playing in local bands, in 1979 he chose to leave his hometown to study at the conservatory in Trondheim. As a member of the nu jazz group Masqualero, Molvær became associated with the ECM label, which later released his first solo material. In 1998, Khmer, which incorporated ambient, house, and electronic sounds along with his trumpet, came out, followed two years later by Solid Ether, an album that also saw a remix version in 2001's Recoloured. In 2002 NP3 was released, and three years later ER, in which he allowed more space for programmers like DJ Strangefruit and Reidar Skår, was issued. In 2006 Thirsty Ear took the honors for Molvær's An American Compilation, a record that was meant to introduce a United States audience to the experimental and genre-bending musician. ¶ I had come into writing this review thinking I had already reviewed the prior release by pioneering fusion jazz trumpeter Nils Petter Molvær, Hamada (2009), but found that I hadn't. Odd, because I sure listened to it enough times when it was new. Today this Norwegian's newest one, Baboon Moon is out, and this time we're not going to let this go by without leaving a few comments about it. ¶ With a new record comes a new backing band. Longtime guitarist/bassist/sampler/bent circuitry whiz Eivind Aarset has been replaced by ex-Jaga Jazzist guitarist Stian Westerhus, and Audun Kleive is supplanted on drums by Erland Dahlen. 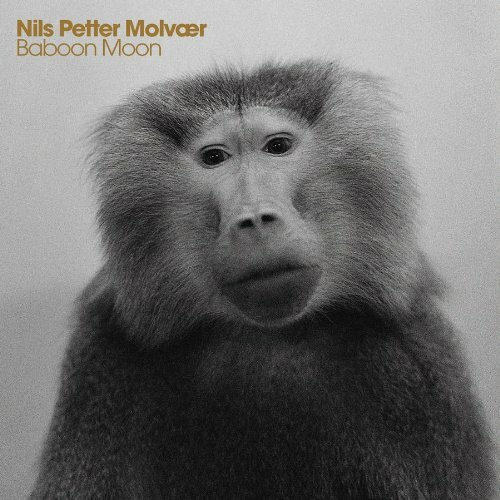 Baboon Moon isn't a whole new direction for Mr. Molvær; this couldn't have been made by anyone but the creator of Khmer, which kicked off the whole electronica/progressive jazz kick out of Scandinavia back in '97. But there's an undeniable shift. ¶ Gone are the sleekly modern tribal ethnic fusion that shaped a good deal of Hamada, and much of the delicate, electronic textures and subtle washes are pushed to the back. In its place is something that's probably best described as industrial jazz; Molvær himself prefers the term “ free, black prog rock." Whatever the term, it's darker, denser, and when it's not dropping the hammer on your eardrums, it's usually threatening to. For the first two minutes, the starting track “Mercury Heart" makes a liar out of me, but then Westerhus' fuzzy, feedback-laden wall o' guitar enters the picture and makes it abundantly clear he's not Aarset, then you realize a change is afoot. And there isn't a hint of swing within a mile of Dahlen's poundings. ¶ The church organ serenity of “A Small Realm" is only a brief respite before “Recoil" kicks in with a riff articulated by a bass guitar more menacing than Chris Squire's over a sweaty, jungle beat. Molvær's horn gets so agitated at one point, he appears on the verge of breaking it. “Bloodline" is deceptively ambient until massed effects create a din in the middle that Molvær's serene trumpet completely ignores. Dahlen relentless clobbering of his tom-toms paces the title track at the end, another song that begins spacious but eventually the spaces in the sound get completely covered up. ¶ Nils Petter Molvær came up through jazz and yet his first record Khmer was already several steps away from what is generally consider “jazz." With Baboon Moon, it's probably now safer to consider Molvær more experimental rock than experimental jazz. He didn't get there overnight, there's enough of a change brought on by the new personnel to push him further in that direction. ¶ The safest call of all, though, is to continue calling it “Nils Petter Molvær" music because even with the progression from his last album, he remains his own man.